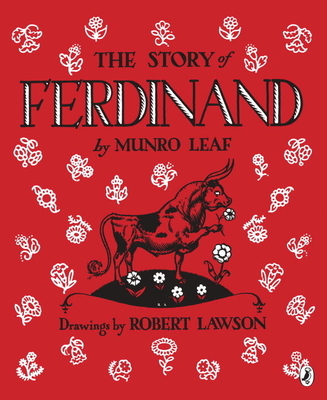 The Story of Ferdinand has inspired, enchanted, and provoked readers ever since it was first published in 1936 for its message of nonviolence and pacifism. In WWII times, Adolf Hitler ordered the book burned in Nazi Germany, while Joseph Stalin, the leader of the Soviet Union, granted it privileged status as the only non-communist children's book allowed in Poland. Wilbur Monroe Leaf (aka Munro Leaf) (1905–1976) was an American author of children's literature who wrote and illustrated many books during his long career. His books were illustrated by a number of famous artists, including Ludwig Bemelmans, Robert Lawson, and Theodor Seuss Geisel (Dr. Seuss). He is best known for The Story of Ferdinand (1936). Robert Lawson (1892–1957) received his art training at the New York School of Fine and Applied Arts. His favorite medium, pen and ink, is used expressively and with detail in his black and white illustrations in The Story of Ferdinand (by Munro Leaf). In addition to illustrating many children's books, including Mr. Popper's Penguins, Robert Lawson also wrote and illustrated a number of his own books for children. In 1940, he was awarded the Caldecott Medal for his picture book illustrations in They Were Strong and Good and in 1944, he was awarded the Newbery Medal for his middle grade novel Rabbit Hill.